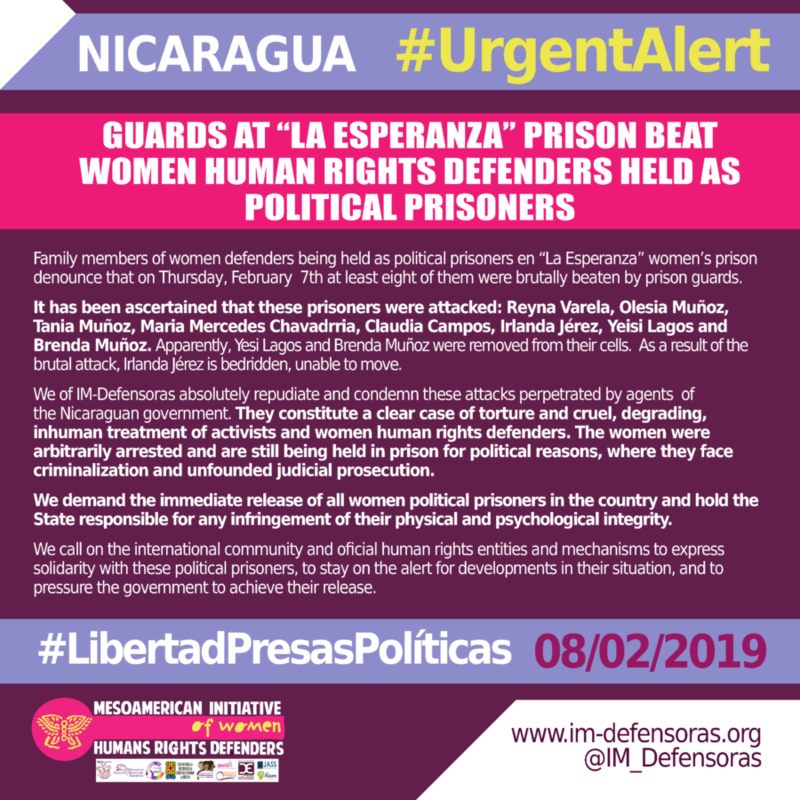 Family members of women defenders being held as political prisoners en “La Esperanza” women’s prison denounce that on Thursday, February 7th at least eight of them were brutally beaten by prison guards. It has been ascertained that these prisoners were attacked: Reyna Varela, Olesia Muñoz, Tania Muñoz, Maria Mercedes Chavadrria, Claudia Campos, Irlanda Jérez, Yeisi Lagos and Brenda Muñoz. 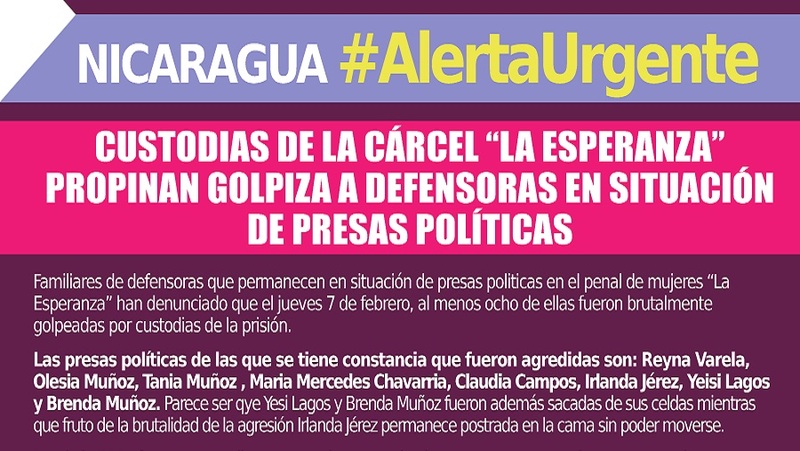 Apparently, Yesi Lagos and Brenda Muñoz were removed from their cells. As a result of the brutal attack, Irlanda Jérez is bedridden, unable to move. We of IM-Defensoras absolutely repudiate and condemn these attacks perpetrated by agents of the Nicaraguan government. They constitute a clear case of torture and cruel, degrading, inhuman treatment of activists and women human rights defenders. The women were arbitrarily arrested and are still being held in prison for political reasons, where they face criminalization and unfounded judicial prosecution. We demand the immediate release of all women political prisoners in the country and hold the State responsible for any infringement of their physical and psychological integrity. We call on the international community and oficial human rights entities and mechanisms to express solidarity with these political prisoners, to stay on the alert for developments in their situation, and to pressure the government to achieve their release.